The Geopark is located on the west coast of Gipuzkoa province, in the Autonomous Community of the Basque Country in northern Spain. 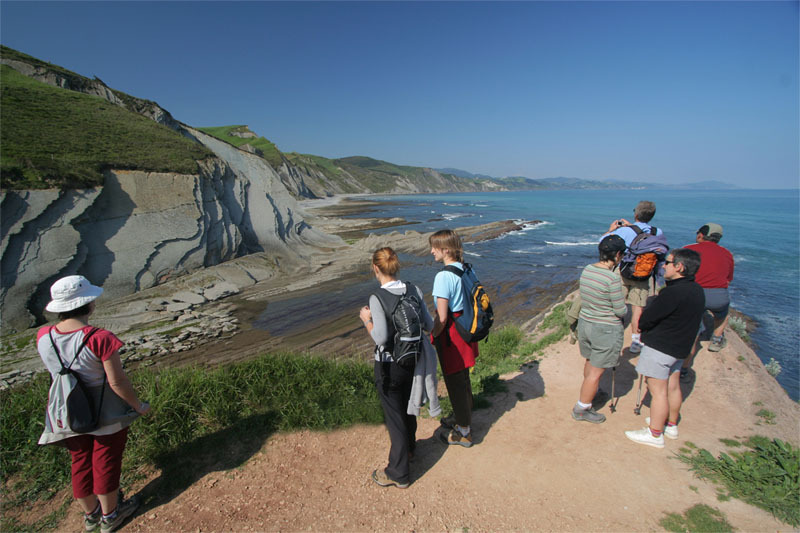 The 89-km2 Geopark includes the municipalities of Zumaia, Deba and Mutriku, and is inhabited by around 19,700 people. 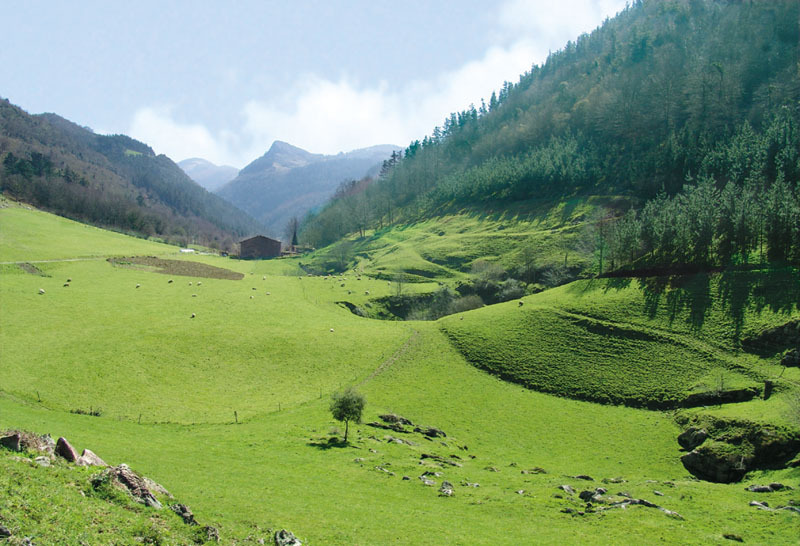 The privileged geographical location situates the Geopark at the nerve centre of the Basque territory. 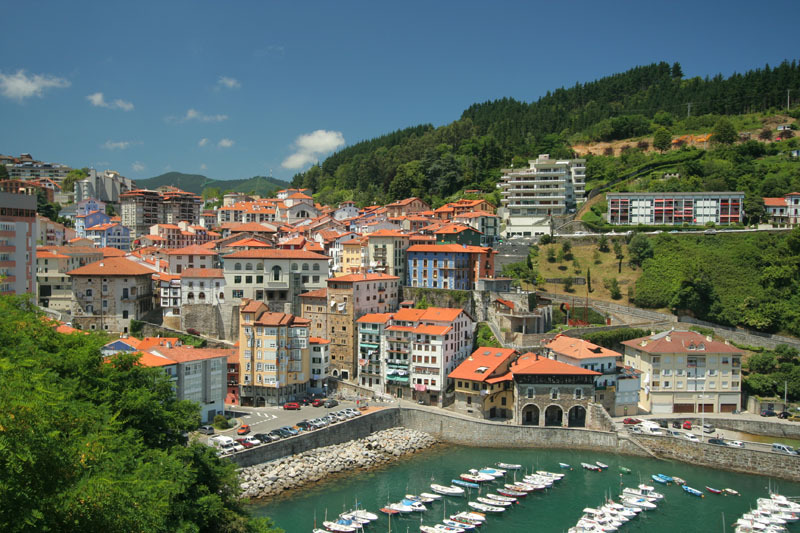 The city of San Sebastián, for example, is only 30 minutes away by car, and Bilbao 50 minutes. The French border is 35 km from the eastern boundary of the Geopark. In this territory, where the western Pyrenees (Basque Mountains) meet the ocean, two geological domains stand out: the coastal flysch succession (turbidites) and the karst landform of limestone massifs from the Lower Cretaceous, which defines the inland zone with spectacular examples of both exokarst and endokarst. Our territory encompasses 23 km of abrupt coastline, consisting largely of steep cliffs, and one of the most extensive wave-cut platforms in Europe. The coastal area contains a complete record of the important boundaries between geological ages such as the Cretaceous/Tertiary (K-T boundary) and the Palaeocene/Eocene, and likewise includes the official stratotypes (international references) for two internal boundaries within the Palaeocene (Danian-Selandian and Selandian-Thanetian). Inland, the landscape is dominated by hilly countryside, where much of the agricultural activity takes place. A group of mountains composed of Urgonian limestone — former barrier reefs — can be found in the southern part of the region, the highest point (Sesiarte) reaching an elevation of 755 metres. The entire area contains excellent examples of tectonic deformation structures such as different types and scales of folds and faults, which were created during the opening of the Bay of Biscay and the compression and lifting of the Pyrenees. Almost the entire stratigraphic record corresponds to marine environments. There is a great deal of palaeontological evidence: bioconstructions of rudist bivalves, Ammonoidea, trace fossils, calcareous plankton, etc. The municipalities of Deba and Mutriku have one of the greatest concentrations of caves with archaeological sites in the whole of Gipuzkoa. The cave paintings in Ekain cave (Deba), in particular the figures of horses, are one of the best examples of Franco-Cantabrian art. As a result, the Ekain cave was declared a World Heritage Site by UNESCO in 2008. The natural heritage holds many elements connected to the geological heritage. The land contains different types of protected natural areas (22.6% of the area of the Geopark) and includes NATURA 2000 areas. Within the Basque Coast Geopark the Coastal Flysch Route offers many different guided tours that allow visitors to discover a unique coast, which reveals 60 million years of uninterrupted geological history, in a spectacular landscape created by the continuous action of the sea, and which also contains important fossil sites and other outstanding natural and cultural assets. Inland the Basque Coast Geopark visitors can enjoy the Karst Route, based on the region’s rich natural heritage, within the Arno and Izarraitz massifs, including great many caves like Ekain (whose cave paintings can be visited at the Ekainberri replica), karst landforms, and associated with activities developed in the natural and rural environment, including mountain hiking, trekking, guided nature tours, mountain biking, routes on horseback and others. Here we can also learn about ancient legends, myths and traditions associated with the territory. An extensive network of trails and mountain bike tracks make it possible to connect all these sites. The geopark has a rich architectural and cultural heritage with a combination of seaside and countryside environments. Here we should mention the historic districts of towns such as Mutriku (declared a Monumental Heritage Site), the church of Santa Maria in Deba, Zuloaga museum in Zumaia, and many others sites. The region’s gastronomy also stands out, with many local specialities and products that should not be missed. Thermal spas (Zestoa) or thalassotherapy (seawater) spas (Deba and Zumaia) can make our visit to the geopark a very relaxing experience. 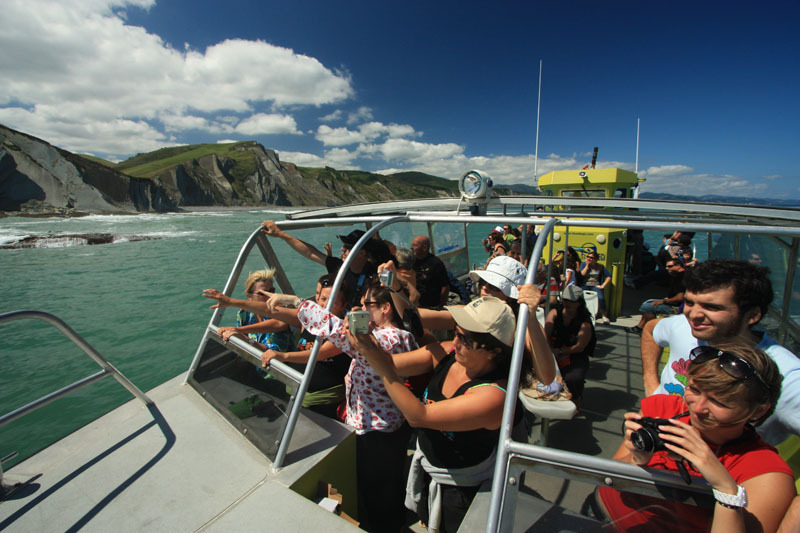 The Basque Coast Geopark stands out as a territory where visitors can enjoy a large number of exciting activities.